America’s CEO/Dictator Donald Trump gave a ‘rally’ speech Tuesday night here in Phoenix, Arizona which drew thousands of protesters despite the 107 degree heat. Inside the rally, an unhinged Trump ranted about how victimized he was by the press while conveniently forgetting his claim of there being ‘fine Nazis’ and both sides being at fault at Charlottesville. He again blamed everything again on the media because that’s what conservatives do: they never take responsibility for their actions and always blame somebody else because in the conservative mindset, they never make mistakes. Once again, Trump exaggerated the crowd size just like he did in July 2015 and certainly the local media, which has a strong Republican bias, did their part to build up the crowd size, which thinned out as the night wore on. Trump supporters even posted false photos of the crowd size as real photos and videos showed the room half empty. 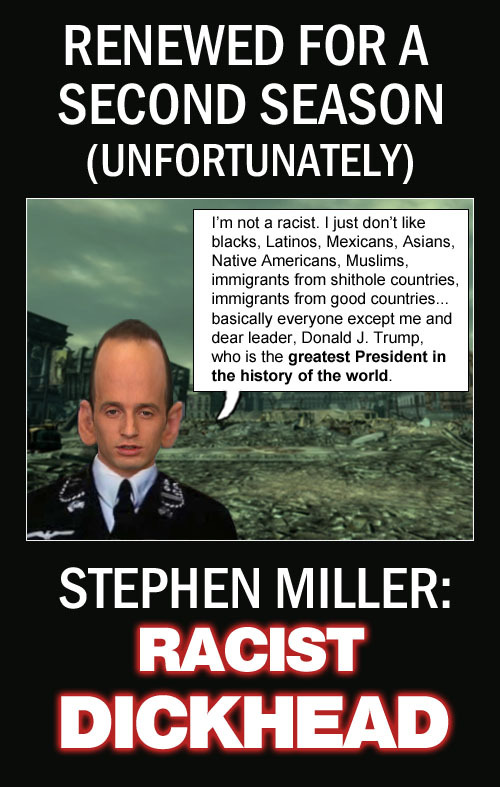 We have no doubt in Trump’s media addled mind that when he’s speaking of ‘fine Nazis’, he’s thinking of Sgt. Schultz from the 60s sitcom Hogan’s Heroes. Who knows, Trump may even name Schultz to be the new press secretary. 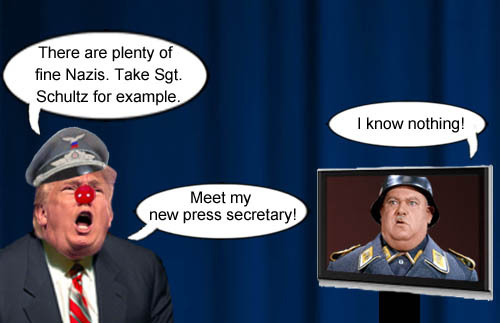 Rumor has it that American CEO/Dictator Donald Trump, will name ‘one fine Nazi’, Sergeant Schultz, as his new press secretary. This past weekend, violence erupted as a white supremacist plowed his car at protesters, who were protesting against the white supremacists and fascists who were rallying in Charlottesville, Virginia. One person was killed and several were injured. In commenting on the incident, Republicans, including American CEO/Dictator Donald Trump were tepid initially in their condemnation of these thuggish attacks, so typical of Nazi fascists, not just in America but back in 1930’s Germany. Trump and Attorney Confederate General Jefferson Beauregard Sessions III only just today, three days after the incident, came out and condemned the attacks as domestic terrorism. We’ve commented before how the Republicans have swung radically to the right in the last thirty years. These growing ‘Pro-Trump’ militia style rallies are frightening to those of us who read our history and know of the vileness and insidiousness of Nazi ideology. 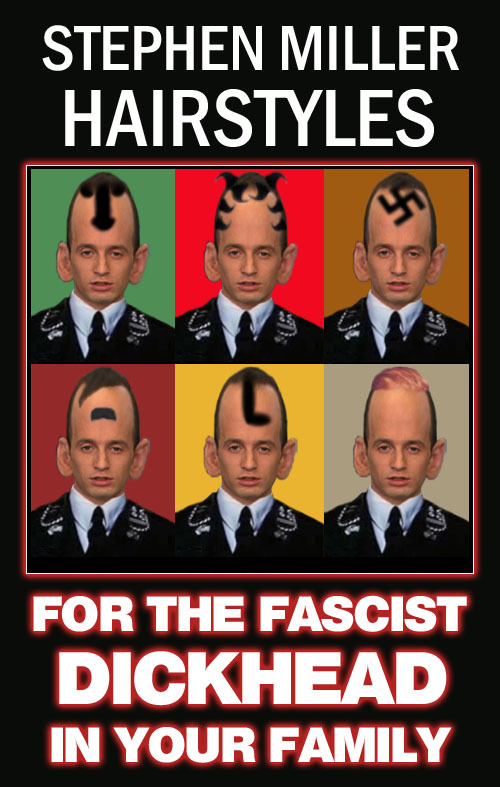 We now have in control of our government, people who have been willing to bend an ear and sympathize with these racist fascists who want to eliminate permanently those who are different. We KNOW the evil Nazism is capable of unleashing on the world. 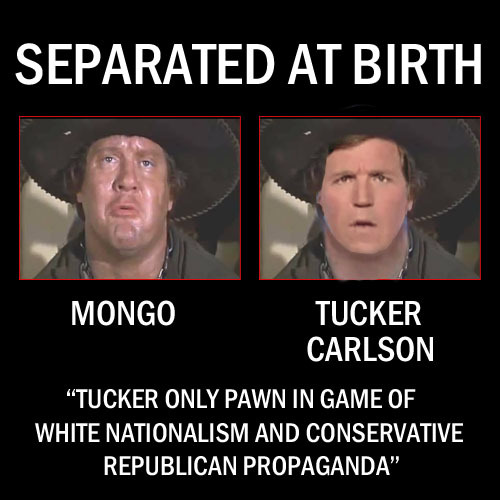 That is why every Republican needs to strongly come out and condemn these Neo-Nazis and other groups like the KKK, who want to tear apart America. There were hundreds of thousands of Americans who were killed or injured fighting the Nazis in World War II. For Republicans to embrace and enable Nazi sympathizers just for votes in not only a slap in the face to the ‘greatest generation’, but a direct violation of our core democratic principles of freedom and justice for all Americans. 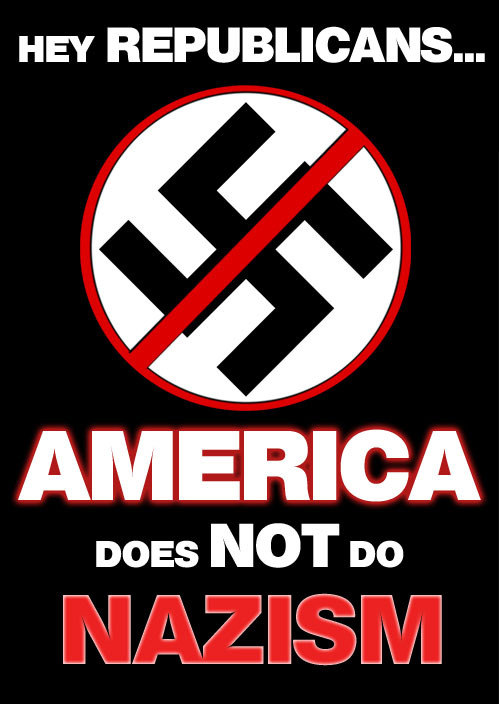 In short: AMERICA DOES NOT DO NAZISM!!!! Dear Nazis: GO TO HELL!! !